We just love the Holidays! 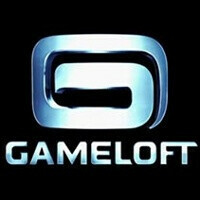 And there are just more and more reasons to love them - now Gameloft has kicked off a massive sale of 17 of its finest iOS titles. The games got their prices slashed to only a buck and now seems like the best time to get them. Most of the titles below are for iOS devices in general, but a couple are iPhone or iPad-only so take this into account while browsing the full list below. Game studios, app stores and others are really doing their best to spoil us with apps this Holiday season. Google has slashed prices on 100 apps to a dime last week, GetJar is giving away Android titles for free and now all these gamer for iOS are getting cheaper. Which ones did you get anyway? Quite generous of them. They've had their games on sale in the Nokia store, for a few weeks, for 99 cents as well, but it would be great if the Nokia store had N.O.V.A. 2 and Iron Man 2!